For nearly one decade, parties, their candidates and electorates across the world have become acquainted with the Internet and social media usage especially during campaigns and elections. Concerning this trend, scholars have investigated the proliferation of the Internet and social media usage in the political sphere. 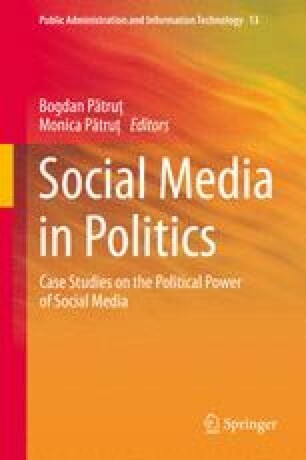 However, little attention has been directed to explore to what extent the proliferation of social media usage have transformed marketization of politics and campaigning of parties and their candidates during direct local elections in the emerging democracy of Indonesia. By using the case study method, in-depth interviews have been conducted to address the campaign volunteers, media relations’ managers, political consultants, candidates, and pollsters during the 2012 gubernatorial election in Jakarta. As concerns its contributions, this paper argues that concerning the electoral and media arenas, there has been parallelism between marketization of politics and professionalization of campaigning among parties and their candidates during this election. As a lesson learnt from the marketization and the professionalization of campaigning of Jokowidodo-Basuki Tjahaya Purnama, this paper reveals that the integrative participatory political marketing (IPPM) and the mixed-mediated and online political campaigning (MMOPC) have been successfully utilized due to strong support from voluntary campaigners of outstanding candidates that have creatively combined the axis of the complementary powers of the underground, of the air war and of the online war of marketing and campaigning. As a practical contribution, this chapter identifies the fact that there are countries that apply the candidate-centered system rather than party-centered system and have a multi party system (such as Indonesia); once partisanship to parties and their candidates has been reduced with the passing of time, there has been extensive use of the Internet and social media networks sites by candidates, by their campaign teams and by voluntary-campaigners, the IPPM and MMOPC can be used to fortify and buzz of the personal political brand of candidates in the marketing and campaigning for winning elections. Lileker, D.G., Jackson, N. (2010). Towards a more participatory style of election campaigning? The impact of Web 2.0 on the UK 2010 General Election, dalam http://microsites.oii.ox.ac.uk/ipp2010/system/files/IPP2010_Lilleker_Jackson_Paper_0.pdf. Accessed by Sept 2012.